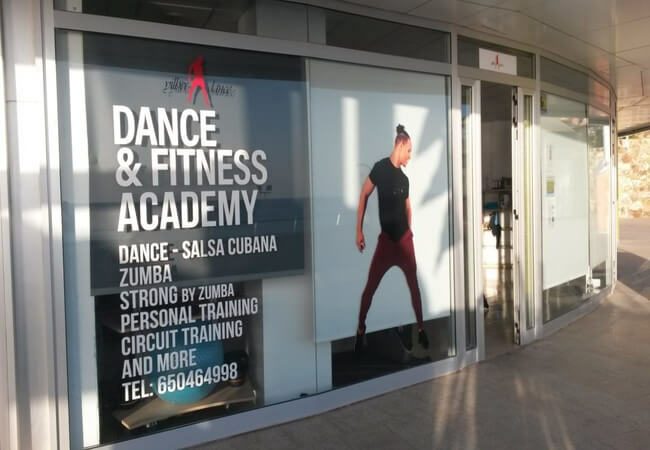 The Yilber Dance and Fitness Academy at the Playa Meloneras Shopping Centre has opened its doors in the autumn of 2018. The academy has a fantastic location in the shopping centre, not far to walk from the road and with a fantastic view right over the Meloneras beach. At the Yilber Dance Academy you can participate in a lot of different dance and fitness classes. Every month they introduce something new. On their Facebook and Instagram portals you can always find their latest schedules. Group sessions for beginners and advanced. 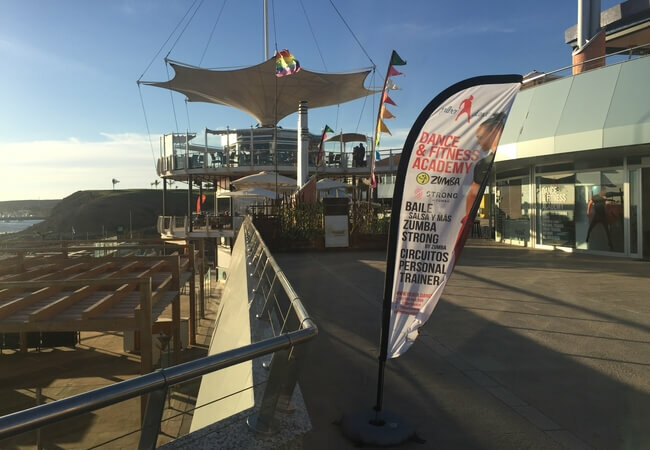 Some training classes are taking place outside with the breathtaking views over the Atlantic. Many like taking personal training sessions with Yilber. These private lessons slots are filling up fast, so best to contact them asap, if that is what you are after. Call or send a WhatsApp on (+34) 650 464 998. The Dance & Fitness Academy is run by Yilber, a professional dancer and certified Zumba™ & Strong by Zumba™ instructor. Yilber told us, that he feels happiest when he is moving to the music. 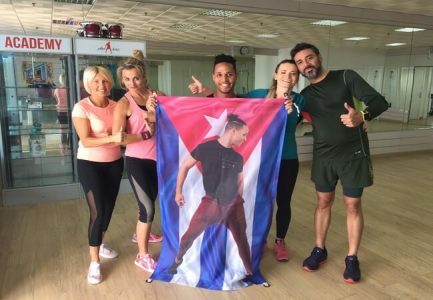 He got the Cuban dance moves in his blood, and knows how to transmit this special vibe to his students. What we like most: The place is not overcrowded, located in a privileged area of the shopping centre with breathtaking views. The walk alone to and from the academy is relaxing. 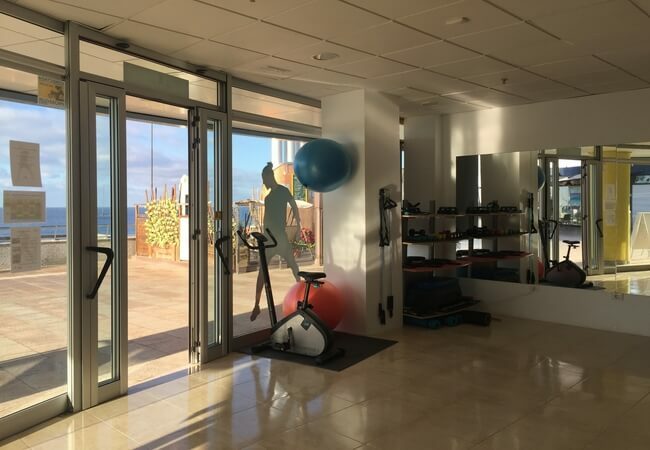 When training there, the floor to ceiling windows and the wide open doors give you the sensation that you are exercising in the open air, while you are literally breathing in the fresh sea air. 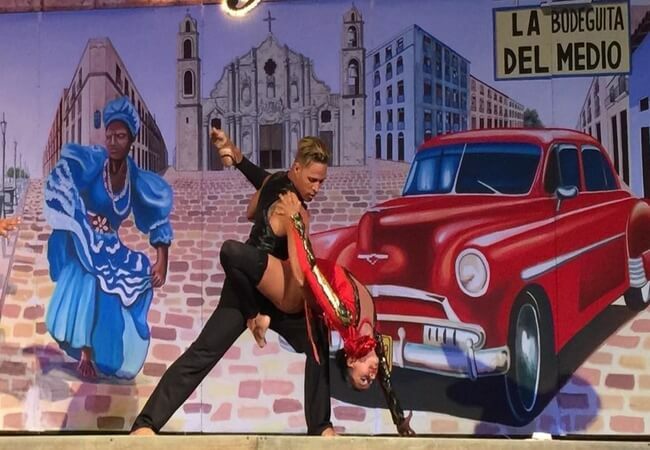 The Yilber dance and fitness academy is located on the 3rd floor, in the left wing of the Meloneras Shopping Centre opposite the Hotel H10 Playa Meloneras Palace. If you come by car you can park on the street at the top or in the car park under the centre.